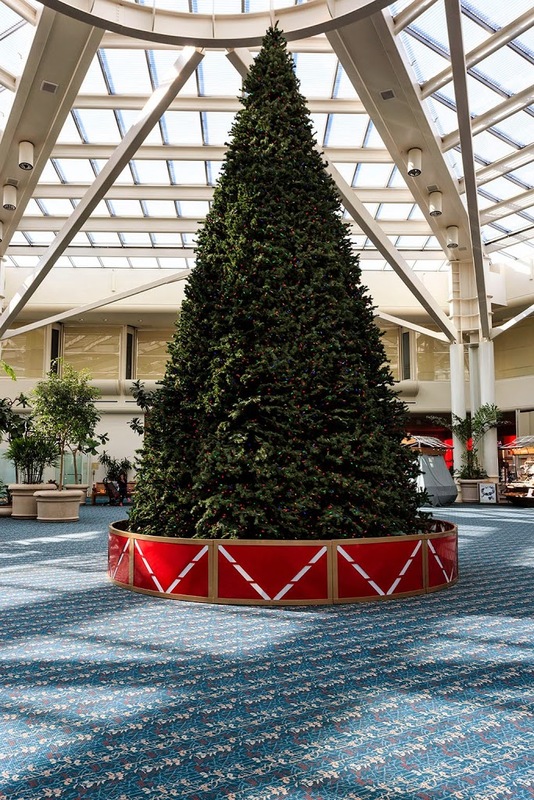 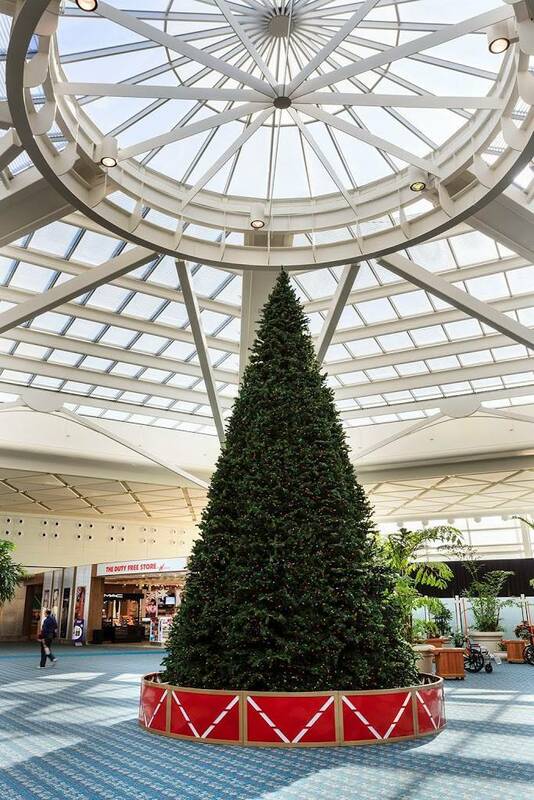 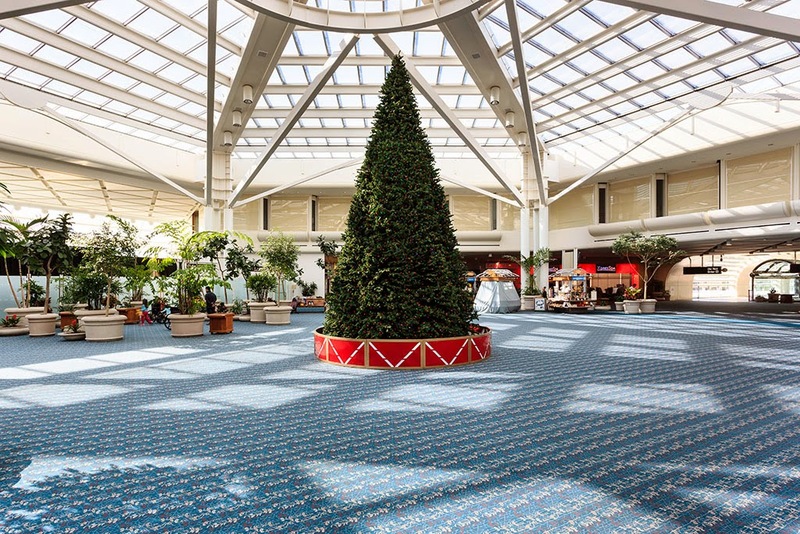 Downtown Decorations teamed up with the Orlando International Airport in 2013 to create a very unique custom light up base for their giant tree. 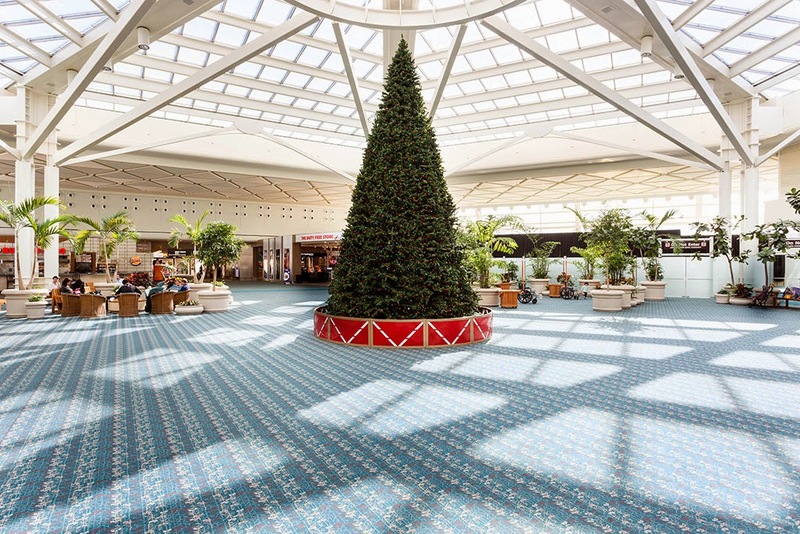 The airport, which is located in Orlando, Florida, is the 13th busiest in the United States and the 33rd busiest in the world, according to passenger traffic numbers. 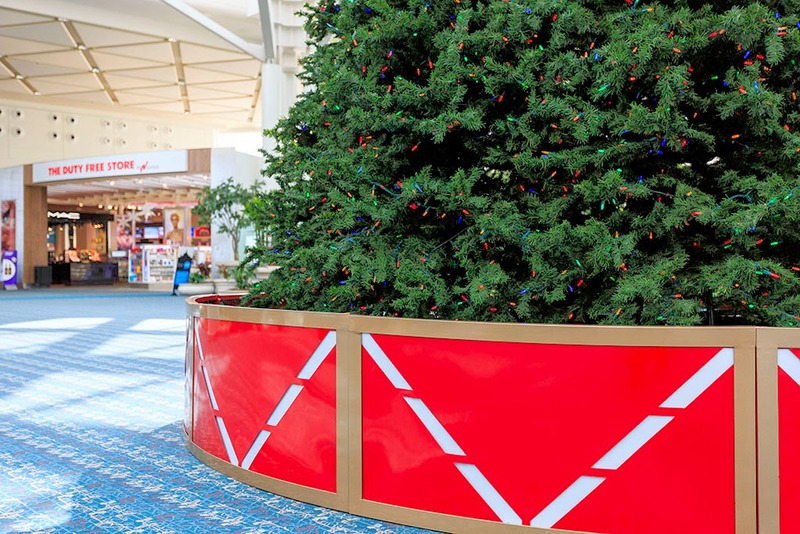 Airport officials contacted us to help create a spectacular holiday display that would be remembered by travelers from around the world. 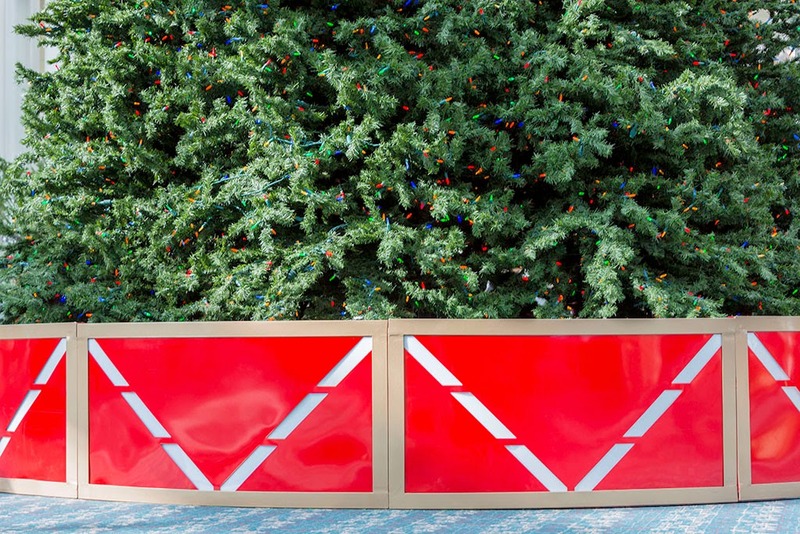 Our design team came up with this one of a kind custom light up tree base. 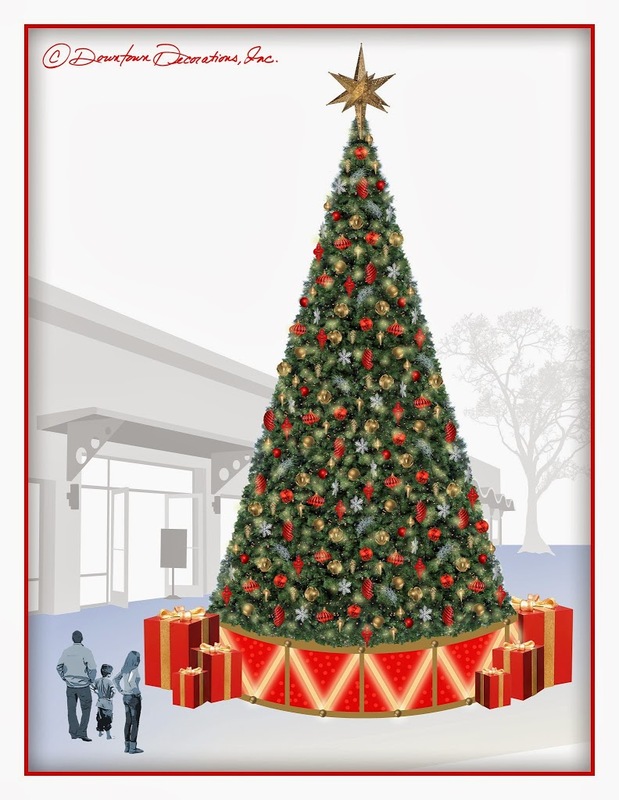 The base measures two feet high and 15 feet around. 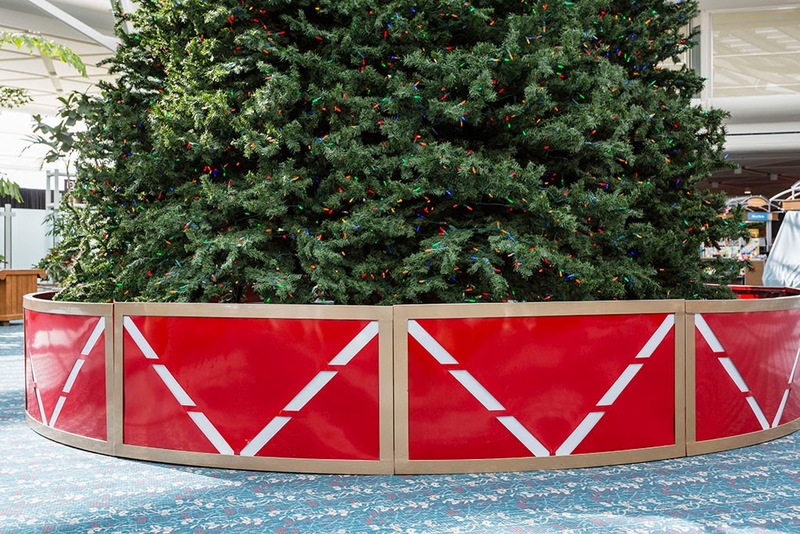 At night, the white v-shaped patterns illuminate to create an outstanding and unforgettable display.